Henry S. Eaton. Display of city attack warning system crowd [?]. 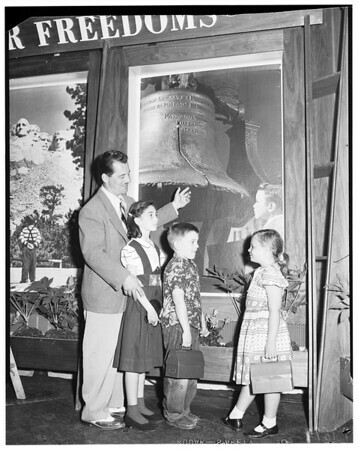 Ronnie Lubofsky, 10, and Lela Lubofsky, 5, look at praying child in 'Know Your Freedoms' exhibit."